Who knew the USC architectural school was a critical driving force in modernism in Southern California? It stands to reason, as the university is famous for far more than its football team and **ahem** MBA program. USC is well known in the creative endeavors like music, film, drama, and architecture. A fellow patron of mid-century modern architecture, Ron Hudson, pointed out this article in the August 2012 USC alumni magazine, USC Trojan Family, Modernism for the Masses. Home by Modern architect William Krisel '49. 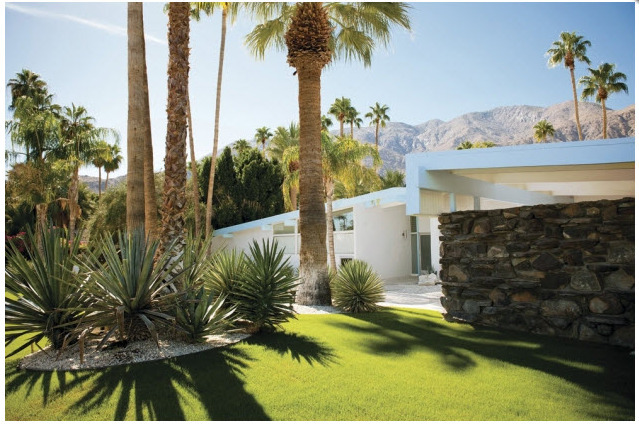 Twin Palms Estates in Palm Springs, California. 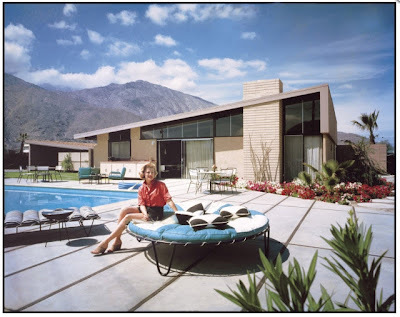 photographer Julius Shulman as seen in Trojan Family magazine. 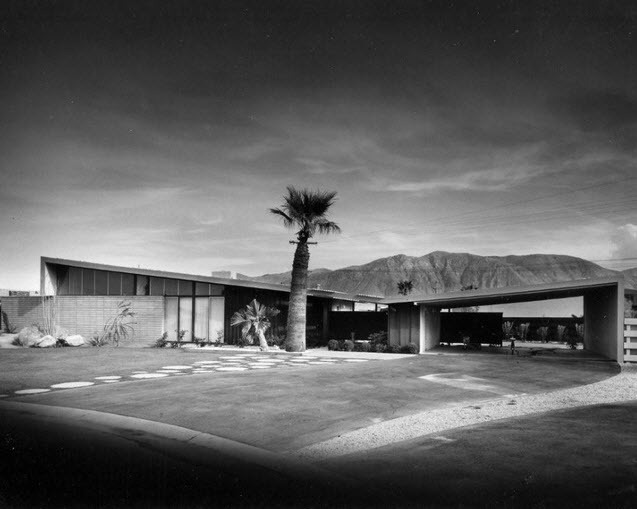 The article explains that the big-name architects couldn't really bring modernism to the masses. USC-trained architect, William Krisel '49 including the late Edward Fickett '37, made their names by working on mass-produced housing required after World War II. 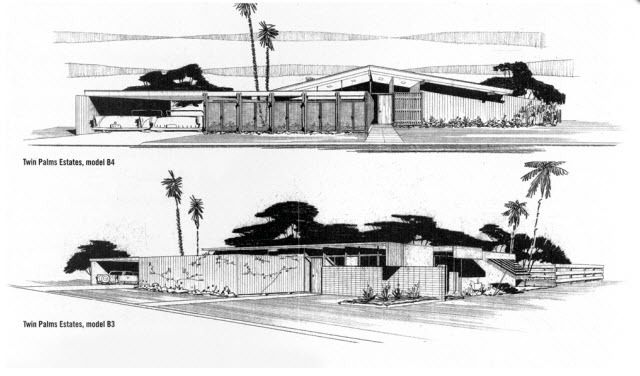 Both Krisel and Fickett, never received the recognition of other USC-affiliated architects like Pierre Koenig, A. Quicey Jones and Richard Neutra, because they worked on larger scale housing tracts for developers. I love Krisel's Twin Palms home. Dwell magazine featured a slide show of Krisel's more famous works in 2009. 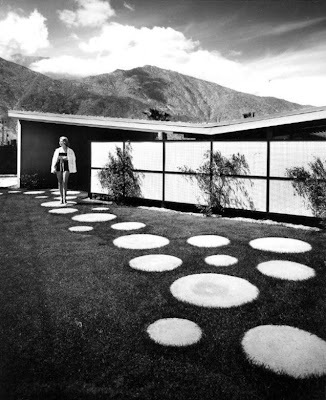 Timothy Melendez has collected some amazing examples of William Krisel work on Pinterest. Click through and enjoy. Bill Krisel is known for brick work like this. Modernism for the Masses, by Allison Engel, Autumn 2012, USC Trojan Family. So many famous architects and landscape architects have either graduated from USC or taught there...teachers like Gregory Ain and Garrett Eckbo and graduates such as Frank Gehry, Raphael Soriano and Konig. You alumni should be extremely proud. I wasn't familiar with Krisel, but I definitely want to read more about him now. I am very proud! USC was lucky because it was centered in the heart of the modernism movement, so its architecture school drove the movement as it, itself, was being driven. Complimentary push/pull. The results, as we know now, were fabulous! 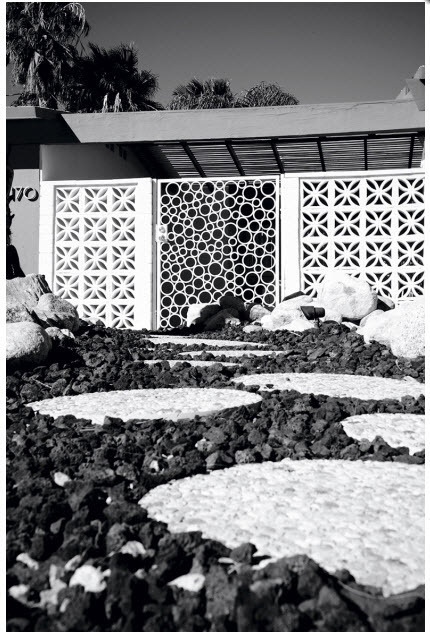 And did you notice the spare landscaping using cacti and succulents--very similar to what you recently planted. Yes, I did notice! When researching landscape ideas, I pulled down a lot of pictures off the web of what the architects were doing back in the day. They really were ahead of their time. We now know that watering a lawn in Southern California will really cost you (time/money).